Guiselle Vega Aguirre, 45, is among 13 individuals arrested in Costa Rica and Spain Friday, suspected in the September 24 abduction of 42-year-old Sean “Tony” Creighton. The victim is a Bridgeport, West Virginia transplant and owner of San Pedro, Costa Rica-based 5Dimes.com, a sportsbook and online casino company that has been in operation since 1999. Vega Aguirre was previously listed as an officer in one now defunct Maltese company. Malta is the world’s largest online gambling hub, and it is the same nation Costa Rican authorities believed 5Dimes laundered money through back in 2016. Funds had been transferred to Latinamerica Trust & Escrow Company SA (Latco), a Costa Rican company set up to handle real estate administration in Costa Rica. 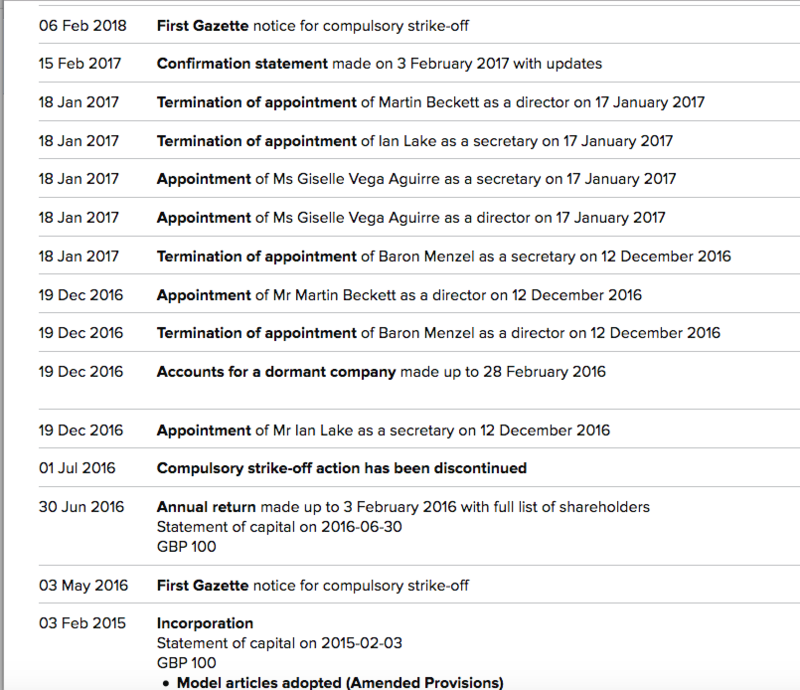 Vega Aguirre was also associated with a UK company, Winsor Consultants Limited that dissolved back in April of this past year. Interestingly enough, it listed under the industry of "real estate". Vega Aguirre, who lists herself as being in the banking sector on some social media outlets, was appointed Secretary and Director of said company on January 18, 2017, replacing one Baron Menzel, 50, and taking control of 75% of shares in the company. Winsor Consultants Limited would be dissolved three months later. Until now, no association has been drawn between those arrested Friday and the i-Gaming sector. Vega Aguirre's role in Winsor Consultants Limited named along side Menzel in Articles of Incorporation place her squarely in the Internet gambling realm, though these connections are not thoroughly understood. Mr. Menzel, who first filed paperwork for Winsor Consultants, was reportedly an owner of now defunct online bookmaker Sunderlands Online with no apparent connection to the Surrey UK bookmaker established in 1946, though they apparently did sell their online division back in 2008. Some time thereafter, Menzel represented himself as the “new” owner of the company, with affiliations to Sunderbet', 'Sunderlands.eu', BetPresto. or .BetVivo. All those domain names are currently for sale. 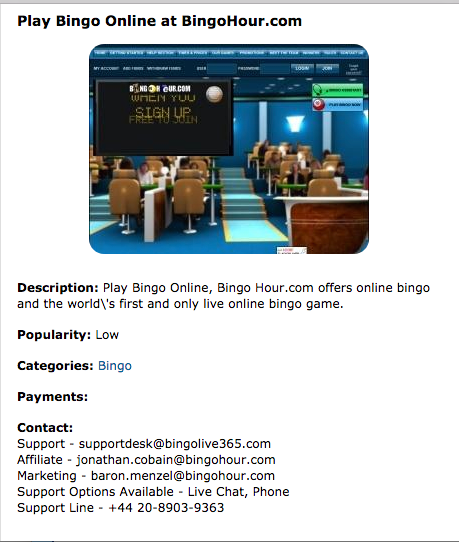 Prior to his association with Sunderlands Online, Menzel was founder of BingoHour.com He touts himself as one of the “original Internet gambling pioneers” as well as a “Gaming Software Specialist, Bookmaker, Entrepeneur, RaceHorse Owner”. Menzel currently lists himself as a partner in the ISM Investments Inc. in Gibraltar, another popular online gambling hub. It is unclear what, if any, association he might still have with Vega Aguirre. She, along with her son and mother, were taken into custody Friday. Vega Aguirre was arrested by Spanish authorities and will be extradited back to Costa Rica along with her son and his girlfriend. All other suspects were apprehended in various locations throughout Costa Rica. Law enforcement claims Creighton was taken to Vega Aguirre's mother's home where the perpetrators demanded nearly $1 million ransom from the 5Dimes owner's wife. She sent the funds via Bitcoin and that transaction was ultimately traced back to three wallets belonging to at least one of the suspects. Police say Vega Aguirre, her son and his girlfriend fled to Spain via El Salvador, Panama and Cuba before securing a large rental home in Zaragoza. Law enforcement believes the rest of the crew were set to move to Spain. Two of those arrested were transit officers. Investigators are hopeful Creighton could still be alive. His body is yet to be recovered.